Juniperberry scented soap with moisturising oils and butters cleans efficiently without drying the skin and provides a nice fluffy lather. 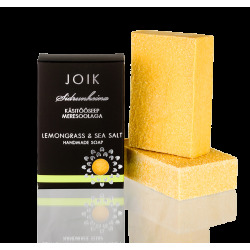 A fresh lemongrass scented soap where seasalt combined with nourishing oils and butters gives the soap a thick lotion-like lather. A fresh lemon scented soap with exfoliating poppy seeds and rich oils and butters cleans efficiently without drying the skin and provides a nice fluffy lather. 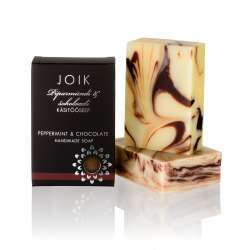 Fresh and cool peppermint scented soap with chocolate swirls, moisturising oils and butters cleans efficiently without drying the skin and provides a nice fluffy lather. Juicy wild forest berries scented soap with moisturising oils and butters cleans efficiently without drying the skin and provides a nice fluffy lather. Sensually scented soap with moisturising oils and butters cleans efficiently without drying the skin and provides a nice fluffy lather. Fresh herbal-scented soap with moisturising oils and butters cleans efficiently without drying the skin and provides a nice fluffy lather. Grapefruit scented soap with moisturising oils and butters and real carrot juice cleans efficiently without drying the skin and provides a nice fluffy lather. A freshly tomato leaf scented soap with exfoliating apricot stone granules and nurturing oils and butters helps to care for hands after gardening.